Welcome to Concord and Kannapolis, North Carolina! Both Concord and Kannapolis are located nearly 20 miles Northeast of Uptown Charlotte. Built in 1959, Lowes Motor Speedway has been a long time tourist attraction for the Concord area. With a seating capacity of 167,000 people, race weekends truly bring the Concord area to life! Many of the race teams have designated Concord as the home base for their race shops. Concord is also home of Concord Mills Mall, the number one tourist attraction in North Carolina. Located off of Interstate 85 and just a few short miles from Lowes Motor Speedway, Concord Mills Mall offers 1.4 million square feet of retail space and has every outlet store one can imagine as well as a movie theater, speed park and numerous other attractions. Kannapolis, North Carolina is home of the North Carolina Research Campus. The mission of the Campus is to become a world class research center, devoted to health and science. This impressive campus is currently underway and has recently opened their first three buildings. The North Carolina Research Center is expected to transform the small town into a thriving area and home some of the most amazing scientific minds of this day. Are you looking for a home for sale in Concord, NC or Kannapolis, NC? There is a large selection of historic homes along the streets of North Union, South Union and Edgewood. There are also countless single family homes, new construction homes, condos, townhomes, master planned communities, mixed-use developments and land for sale. 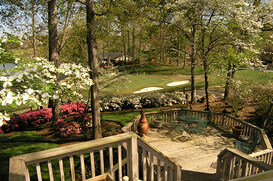 Some of the most sought after neighborhoods include Historic District, Charter Oaks, Sycamore Ridge, Luvine Hills, Hunters Pointe, The Woods, Cold Creek Farms, Walden Pond, Porters Landing, Glen Grove, Morris Glen, Rocky Creek Farms, Shenandoah Estates, Hampden Village, Fullerton Place, Moss Creek, Riverwalk, Skybrook, Sheffield Manor, Laurel Park, Cannon Crossing, Christenbury Village, Kings Crossing, Carriage Downs, Zemosa Acres, The Farm at Riverpointe, Kellswater Bridge, West Oaks, Whispering Winds, Pine Creek, Sapphire Hills Townhomes, Hallstead, Tucker Chase, Yates Meadows, Skybrook, Wellington Chase, Bedford Farms, and Hearthwood. If you’re in search of a Real Estate agent in Charlotte, NC, please allow one of our experienced team members to assist you in the home buying process. We are passionate about Real Estate and will always go above and beyond to ensure that you are 100% satisfied! We love Charlotte and hope you will as well!